In the excitement of house shopping, it’s easy to forget about closing costs. However, closing costs can add anywhere between 2% and 5% to the sale price, depending on your lender. If you’re buying a $240,000 home, for example, you may be required to come up with $4,800 to $12,000 before closing. Where does the money go? 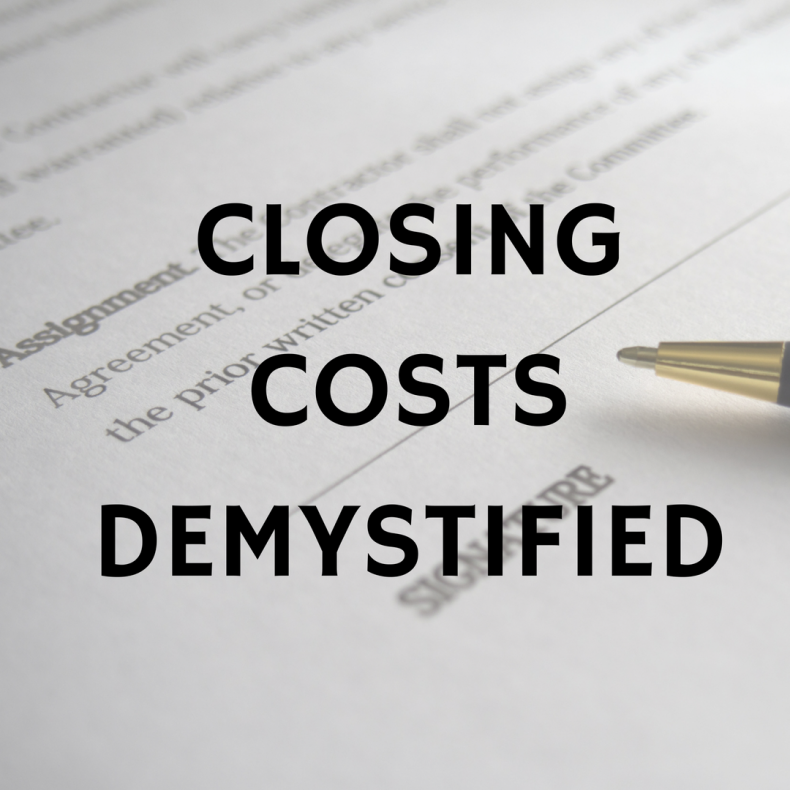 Closing costs pay for all of the research, legal effort, and legal documents required for a real estate transaction. They also include prepaid taxes, insurance policies and other expenses. Some banks charge a fee to process your loan application. This fee is often negotiable, so be sure to talk with your lender. Typically the lender requires two months of property taxes and homeowner’s insurance to be held in escrow. The lender will then pay these bills on your behalf as they become due over the course of the next year. In addition, your lender will likely require that the entire first year of your homeowner’s insurance premium is to be paid at closing. This is what the bank charges to create a loan for you. It’s usually about 1% of the mortgage. The lender will pull your credit from the three major credit bureaus to find out your credit score: This will help them determine an interest rate on your loan. Buyers can pay the bank up front to reduce the interest rate on the loan. If you’ve bought points, they’ll be part of your closing fees. You may need private mortgage insurance if you are putting up less than a 20% down payment. You won’t have a mortgage payment for the first month after you close, but the lender require you prepay interest that will accrue on the loan between closing and the first payment. Title insurance protects the both you and the lender from hidden title hazards that may threaten your investment in your home. Lenders typically require an appraisal to confirm the market value of the property. An abstractor will perform a title search on the property. It is conducted to ensure the seller can convey clean title at closing. Paid to the lender to cover the costs of loan approval. This is paid to the closing attorney for reviewing the title work and closing documents on the buyer’s behalf. When setting your budget, estimate closing costs on the high side to ensure you’ll have enough funds set aside for closing. When you’ve chosen a property and are going through the final approval process, your lender will be able to narrow down your actual closing costs. In addition, our office is happy to run through an estimate of closing costs well in advance of your closing. If you estimate closing costs at 5% of the sale price and the costs are actually 2% or 3%, you’ll have a little surplus for furnishings, a nice housewarming party, or a little more padding in your emergency fund.